BRADBURY'S LUCK (AUS) (Grey 2002-Stud 2006). 2 wins at 2, GCTC Magic Millions 2YO Classic S., RL. Sire of 359 rnrs, 238 wnrs, inc. SW Luckygray (WATC Railway S., Gr.1), Fire Up Fifi, Col 'n' Lil, In Cahoots, Cash Luck, Elegant Composure, Avaladyluck, She Can Skate, Ringa Ringa Rosie, SP Unimpeachable, Goldslick, Skating on Ice, Make My Own Luck, Skate to Paris, Chewychop, Sunshine Rhythm, In a Tangle, King Utah and of Rising Luck, etc. Zilitor (f. by Bradbury's Luck). 2 wins. See below. We Concur (g. by Love Conquers All). Winner at 1200m in 2018-19 in Aust. Dayuan. 5 wins from 1450m to 1800m in Aust. Tyson Rules. 5 wins to 1200m in Aust. Dobros. 3 wins at 1400m in Aust. Gala Tickets. Winner at 1250m in Aust. Orient Success. Winner. See above. Senorita Peta. 5 wins. See above. Petreni. 4 wins from 1400m to 1900m, A$129,960, AJC Toohey's New H., Maytag H., STC Rutherford Jewellers H., 2d AJC Thrifty H., 3d AJC Hahn Super Dry H., STC Sunkist H., Parramatta Leagues Club H., Nivea Visage H.
Conahan. 2 wins at 1400m, 2000m, AJC Zetland P.
I Win. 2 wins at 1600m, 1800m, HKJC Wind Dancer H., Lau Shui Heung H., 3d HKJC Ing Supreme Region H., Holly H., Hillwood H., Plunkett's H.
Better Not Blue (Churchill Downs). 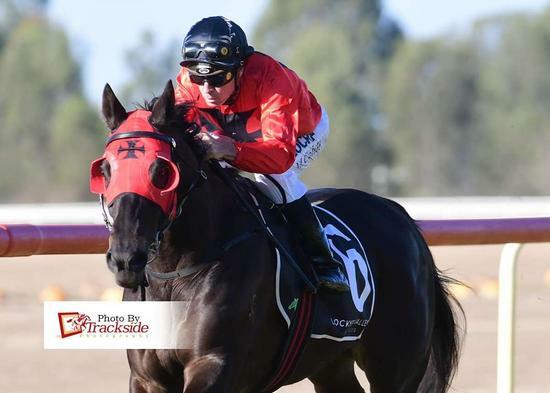 4 wins at 1250m, 1300m, A$355,625, ATC Schweppes H., Cellarbrations H., TAB Place Multi H., 2d ATC Civic S., L, Provincial Championships Final, Wyong RC Provincial Championships Qualifier, ATC Cellarbrations H., TFE Hotels H., 3d Wyong RC Provincial Championships Qualifier, ATC Theraces H., Schweppes Farewells Jimmy Cassidy H., Hawkesbury RC Ladies Day Cup, 4th Gold Coast Guineas, Gr.3. Fontein Lad. 5 wins from 1600m to 2200m, A$232,800, to 2017-18, Ipswich TC Riverlink Fashion on the Field H., 2d MRC Noel Rundle H., VRC Darren Allsop H., MVRC Woodside Park Stud H., MRC Thoroughbred Club H., 3d MVRC Ellar Classic H.
Kaiser's Choix. 3 wins at 1200m, 1650m, HK$2,827,075, HKJC BNP Paribas Equities & Derivatives H., Ngau Tau Kok H., Awapuni H., 2d HKJC Tsun Yuen H., Perkins H., Man Yiu H., Po Kin H., Post Magazine H., Tsun Yip H., Matheson H., Kent H., Haier H.
Kasalingi. Winner at 1900m, STC TJ's Champagne Bar P.
Right Direction. 3 wins-1 at 2-to 1500m in Philippines, 3d Metro Manila TC Leopoldo L Prieto III S.
SHOWZAM (Khozaam). Winner. See above. JOURSANVAULT (Verglas). 5 wins-4 at 2-at 1000m, 1600m, €156,550, US$5,799, Maisons-Laffitte Prix Montenica, L, Criterium de Lyon, L, 2d Chantilly Prix de la Jonchere, Gr.3, Saint-Cloud Prix Omnium II, L, 3d Maisons-Laffitte Prix La Fleche, L.
2 wins at 1200m, 1400m to 2017-18, 2d Ipswich TC Sky Racing H., Jo Ann Miller MP H.